David Paul, MD, PhD, a faculty member of the College of Mind-Body Medicine, has been recognized with the Season for Nonviolence Local Heroes Award. The award was given jointly to David and his wife Bonnie Paul, Ph.D., both Saybrook graduates, recognizing them for their work through the Freedom to Choose Foundation, teaching decriminogenic and life skills to women incarcerated at Valley State Prison for Women in Chowchilla, California since 2004. David and Bonnie co-direct the work of this foundation. David and Bonnie will receive the awards on Sunday April 1, at a ceremony in Culver City, California. The Local Heroes award is given by two organizations: Common Peace Center for the Advancement of Nonviolence and the Agape International Spiritual Center. The award is given annually during The Season for Nonviolence, which is an annual 64 day commemoration honoring the memorial anniversaries of Martin Luther King Jr. and Mahatma Gandhi. Season honors the vision of a non-violent world for which these two heroes lived and died. During the 64 day campaign, these two organizations honor local heroes who are effecting change in their community through the power and practice of the principles of nonviolence as taught by King, Gandhi, Caesar Chavez, and other nonviolence leaders. David Paul serves the College of Mind-Body Medicine as part time faculty. He is currently a committee member for two students’ master’s projects. He brings the perspective of spiritual psychology to his mind-body medicine teaching. 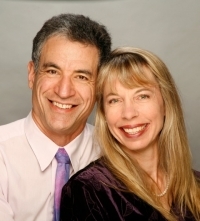 David is also a physician in private practice in Mind-Body and Integrative Medicine, blending allopathic and alternative medicine and Spiritual Psychology. He also serves as faculty at the University of Santa Monica in their master’s degree program in Spiritual Psychology and their post-graduate Consciousness, Health, and Healing program.